Living Well with Diabetes helps you better understand and manage your diabetes. 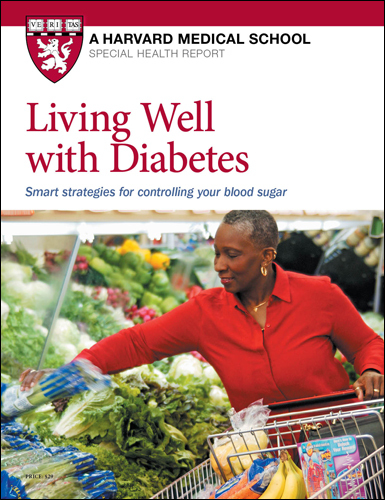 It includes detailed, updated information about medications and alternative treatments for diabetes, and a special section on weight-loss strategies. You’ll also learn the basics of how your body metabolizes sugar, how and when to monitor your blood sugar, and how to cope with both short- and long-term complications of the disease. Most importantly, you’ll see that it’s not just possible to live with diabetes — it’s possible to live well. Diabetes, a disease marked by high levels of sugar in the blood, is more common than ever before. In the United States, the prevalence of diabetes has more than quadrupled in the past two decades. Not only are more people being diagnosed with diabetes, they’re also developing the disease at younger ages. That’s worrisome because the risks of complications from this common disease — which include heart attack, stroke, blindness, kidney failure, and amputation — become greater the longer you have diabetes. But there’s good evidence that rigorous blood sugar control can delay or even prevent the development of debilitating long-term complications. Such tight control is now possible thanks to innovations such as high-tech monitoring devices, improved medications, and nearly painless insulin injectors. This special health report will help you better understand and manage your diabetes. It includes detailed, updated information about medications and alternative treatments for diabetes, and a special section on weight-loss strategies. By reading this report, you’ll also learn the basics of how your body metabolizes sugar, how and when to monitor your blood sugar, and how to cope with both short- and long-term complications of the disease. Perhaps most importantly, you’ll see that it’s not just possible to live with diabetes; it’s possible to live well. Who’s at risk for type 2 diabetes? But what type of diabetes do you have? 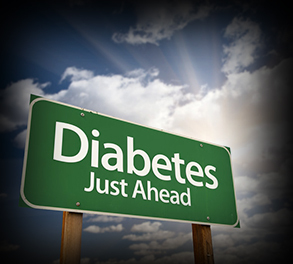 In the past, it was usually very easy to judge by the person’s age whether he or she had type 1 or type 2 diabetes. Those who developed it as children or adolescents had type 1. Those who developed it much older had type 2. Similarly, people who were overweight or obese were likely to have type 2 diabetes, and thin people were more likely to have type 1. Now, however, the lines have been blurred. As a result of the obesity epidemic, younger and younger people are developing type 2 diabetes—and we now know that one in five people with type 1 develops it as an adult. That makes it harder to use age and obesity as a guide. In addition to putting you at risk for full-blown diabetes, higher levels of blood glucose or HbA1c—even in these prediabetic ranges—increase your risk for cardiovascular disease.